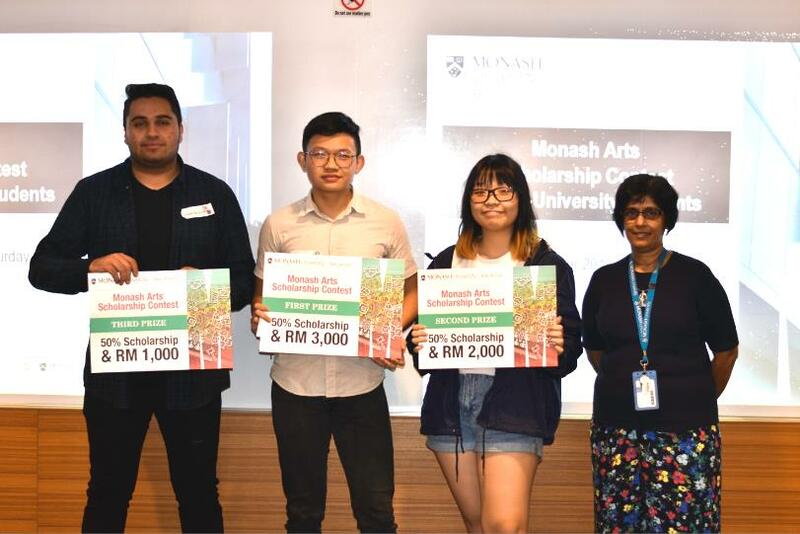 Monash University Malaysia’s School of Arts and Social Sciences (SASS) held its Arts Scholarship Contest for potential future students on 22 September 2018 with two key aims: to award three available scholarships to study a course offered by SASS and to enlighten participating students on the various areas of study available at the School and the kinds of experiences students will gain from an Arts and Social Sciences education. 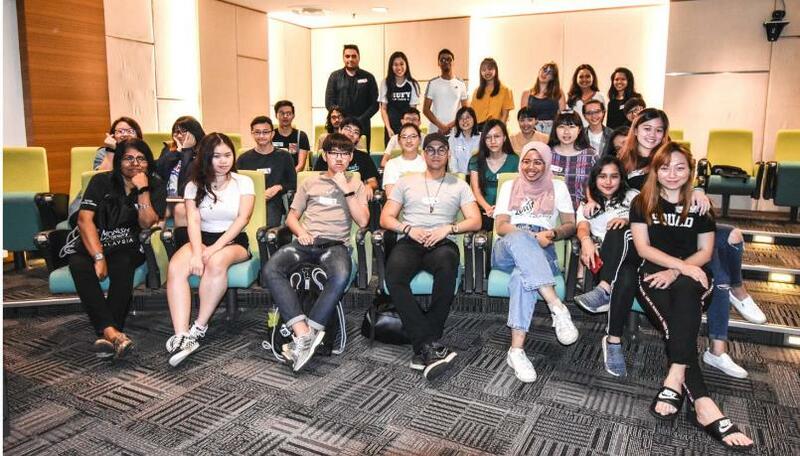 Thirty students from Sunway College, City of Islington Sixth Form College, and City University participated in the event and all of its four challenges. The first challenge was the #pic&snap. Participants were given approximately 45 minutes to go around the Monash Malaysia campus, take a picture of a spot, write a caption, and share it on their Instagram account. Cassandra Anwar won this challenge and received a polarized camera. Judges thought her caption for her picture of a multiple branch signpost on the campus best depicted SASS in that even though the School has diverse branches representing different areas of study, they all work towards creating “a richer world that coexists with one another.” The second challenge was all about “Finding Trust in World Politics.” Participants were briefed about the latest news on world politics to show the significance of the “Prisoner’s Dilemma” game that would be conducted as part of the six-round challenge. As the various rounds proceeded, the game intensified as trust between players was perpetually lost and gained, something that is common in international negotiations. Group 5 comprising Aaron De Costa, Alyssa Yoong, Celine Tee, Dania binti Abdul Hanan Soh and Lim Jin-Ge won the challenge and each member received a power bank. The third challenge was a film pitch. Participants had to work in groups to come up with a film pitch within 30 minutes and to then present these to the judges in no more than 5 minutes. Groups has to meet particular criteria. Participants has to develop a film pitch on aspects that had yet to be explored in current Malaysian movies. Moreover, each group was randomly assigned a film genre, one line of dialogue, and one ‘props’ item that had to be incorporated into their film pitch. Group 6, which creatively presented a new Malaysian superhero film that explored the complex notion of identity and “home” won this challenge, and its members – Allyssa Chin, Megan Ching, Muhammad Ibrahim, Rene Cheng and Siow Xin Yi – were each rewarded with head phones. The final challenge was a Trivia bowl, a Kahoot! Quiz that comprised 50 general knowledge questions in the areas of media/communications, world politics, gender issues, literature and film. These categories correspond to the areas of study offered by SASS. Foo Siew Jack won this challenge and received a polarized camera for having correctly answered the most number of questions in the shortest possible time. While the results were being counted and verified, participants were introduced to the various courses, majors and minors offered in the School. During this time, two current students, Amani Onyango and Saima Islam, shared their respective experiences interning at the All Women’s Action Society (AWAM) and studying abroad on exchange at Leiden University in the Netherlands. 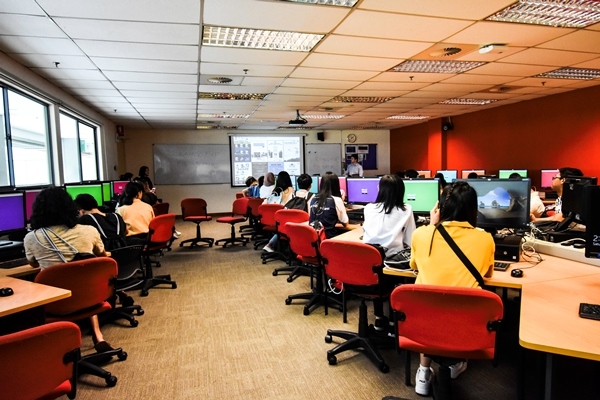 This particular session was really insightful for the participants as it provided them with comprehensive information on the variety of academic and non-academic experiences they could have with Monash Malaysia’s SASS. The event ended with the judges announcing the winners of the various challenges and presenting them with their prizes. The overall winners received scholarships. Muhammad Ibrahim, who was part of the film pitch winning team, came third and gained a 50% scholarship to study at SASS and RM 1,000 cash prize. Rene Cheng who was also a member of the film pitch winning team came second and also gained a 50% scholarship to the School as well as a RM 2,000 cash prize. The grand prize winner was Foo Siew Jack who won a 50% scholarship to SASS plus a RM 3,000 cash prize. Like every other competition, some won and some lost, but all the participants ended the day with a big smile on their faces because it had been one well-spent and enlightening Saturday. Authorised by: Marketing and Future Students. Maintained by: Monash University Malaysia Webmaster Team. Last updated: 26 Oct 2018.